Just trying to leave something behind. Today was all about panels. I cut and fit all of the required panels for the carcass. This isn’t a difficult job, but due the small size of my shop, can be tedious. Constantly moving the assembly and the raw panel material. First to ascertain the panel size and then to cut the panel. its far too easy to either get in a hurry or become frustrated or both. So I try to make a conscious effort to slow down and be methodical in my actions. This makes the process slower but more enjoyable plus fewer errors. 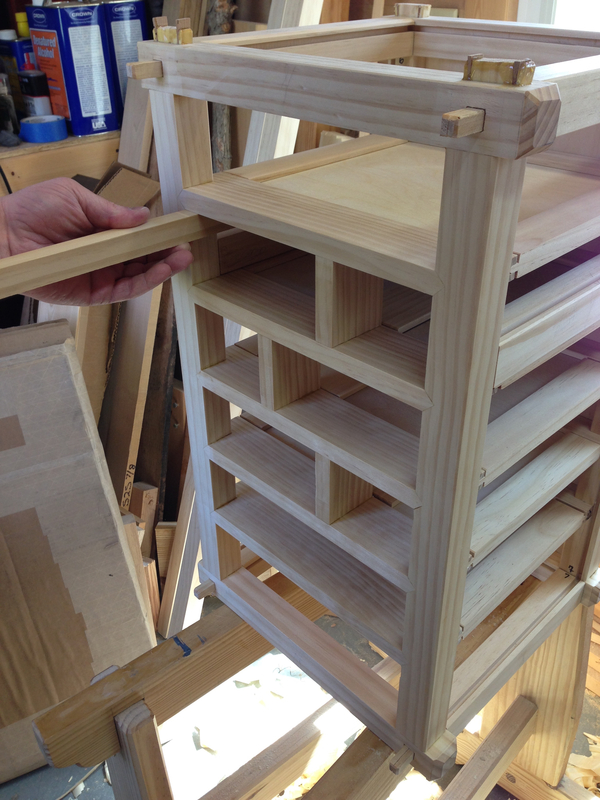 I once again dry fit the assembly, sans exterior panels, and checked that all of the drawer bearers were flush to each other. It’s a simple matter of using a scrap of wood and sliding it in and out to identify those areas that need attention. 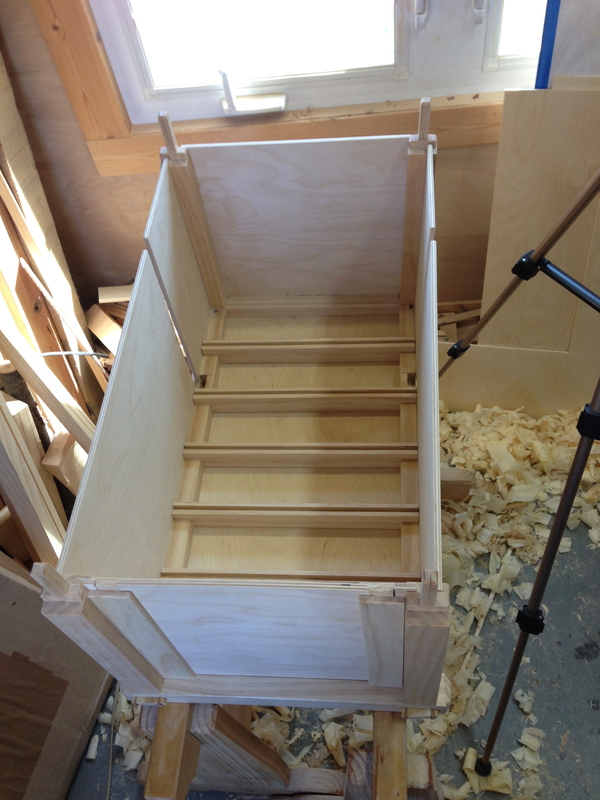 Ensuring that these areas are flush will make fitting the drawers much easier later. First I check the top surfaces. I also needed to drill the handle rails to receive the handles. The interior of the rails receive a counterbore. 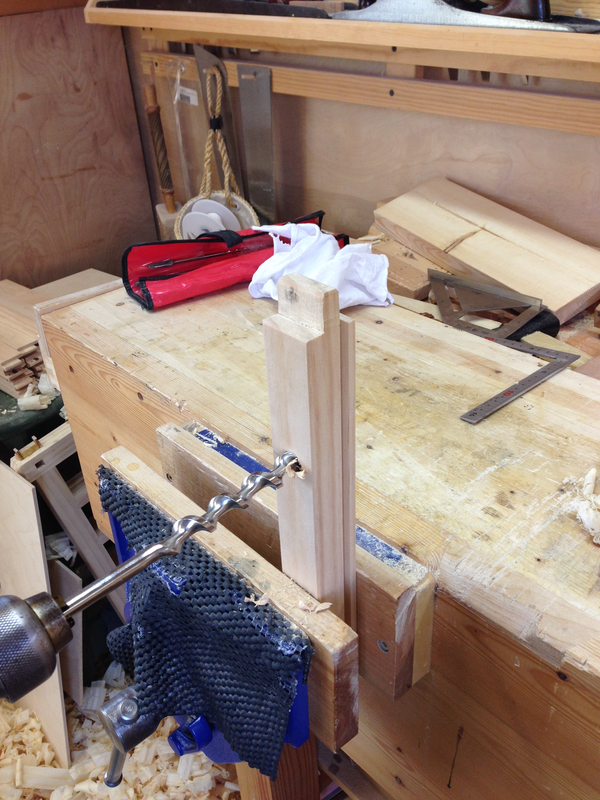 I finish the outer faces of the holes with a few turns of a countersink just to ease the edges. That’s about as far as I got today. I’ll knot and install the handles tonight while watching a little TV. 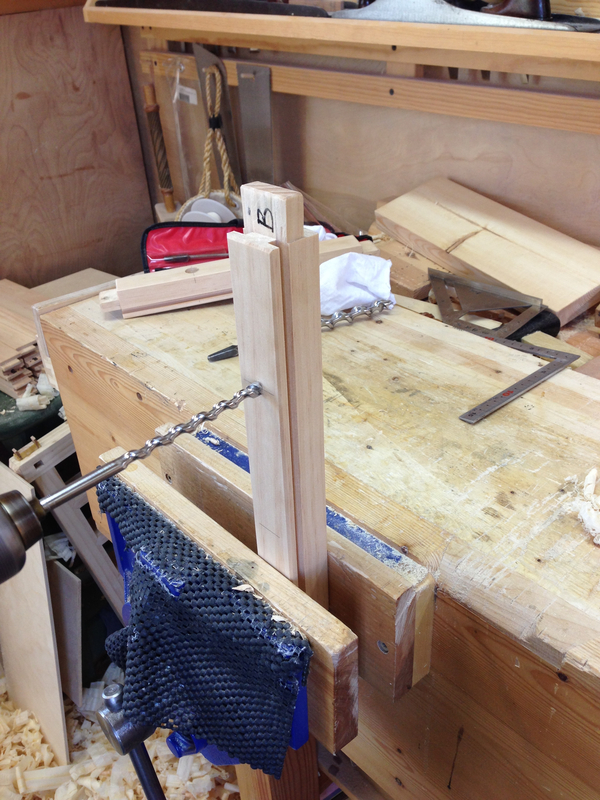 The handles need to be in place before I glue up the assembly. There just is no way I can get my meaty fists in the allotted space later. The outer panels still need to be sanded. 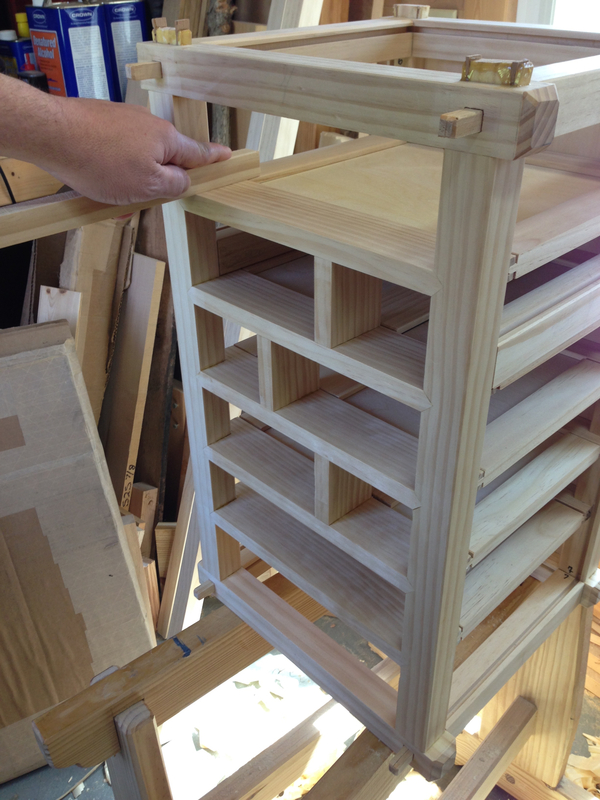 Once that is done I’ll be ready for the final assembly of the carcass. 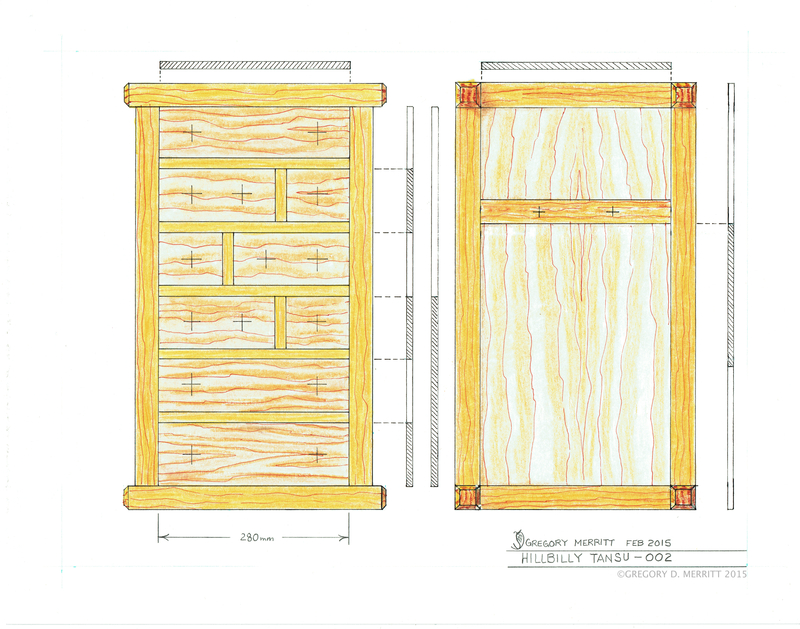 This entry was posted in Hillbilly Tansu-002 and tagged Hillbilly Tansu Project, Woodworking. Bookmark the permalink. That’s shaping up very nice. 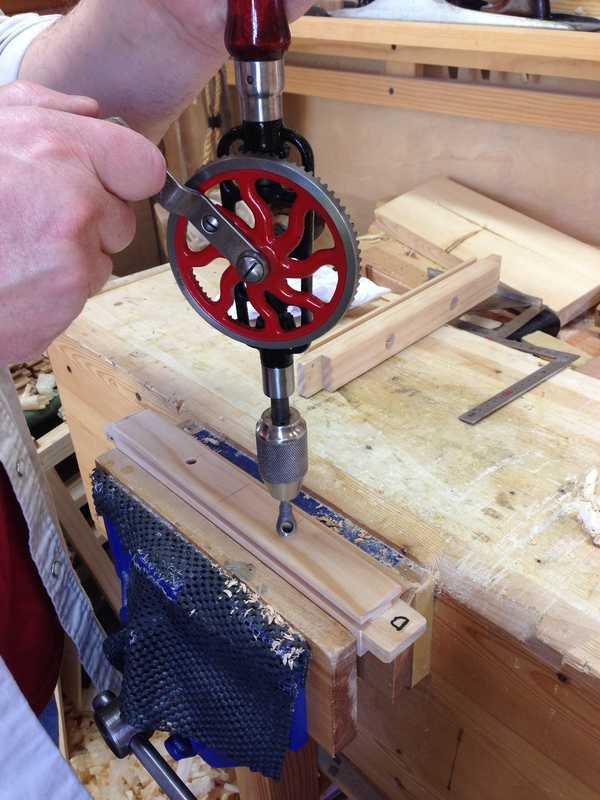 HI Greg – where did you get the countersink for your hand drill? Harbor Freight. Its part of a three piece set. Very inexpensive and seems to work pretty well for what I need them for. In which 1snugthejoiner writes about woodworking, publishing, house renovations, cats and Shakespeare (don't worry – that last one is rare). Thoughts and decisions as I create my work. Journey with me through the fascinating world of woodworking.